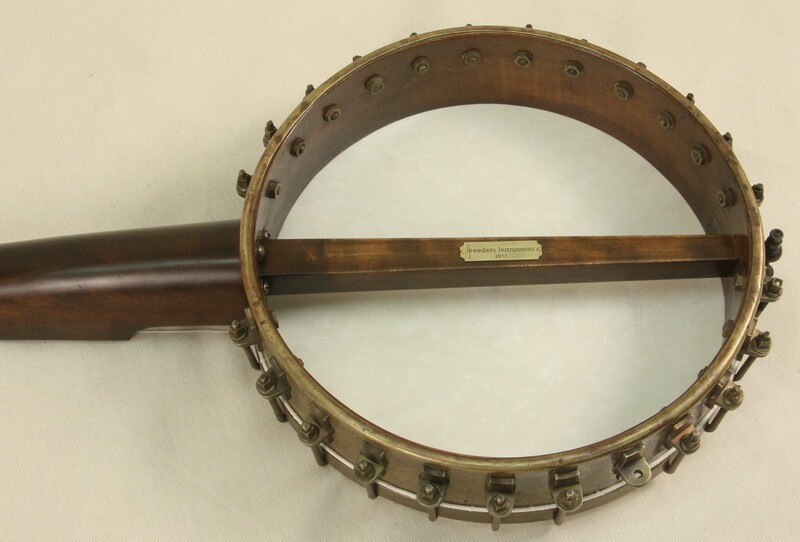 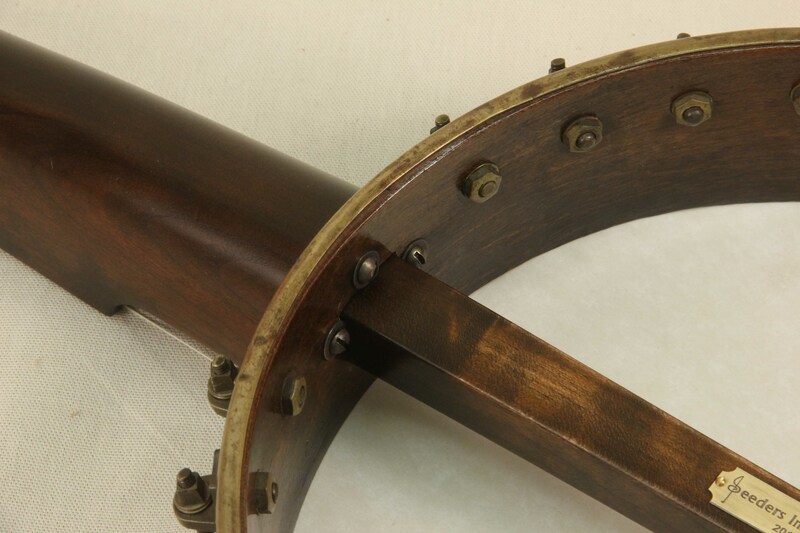 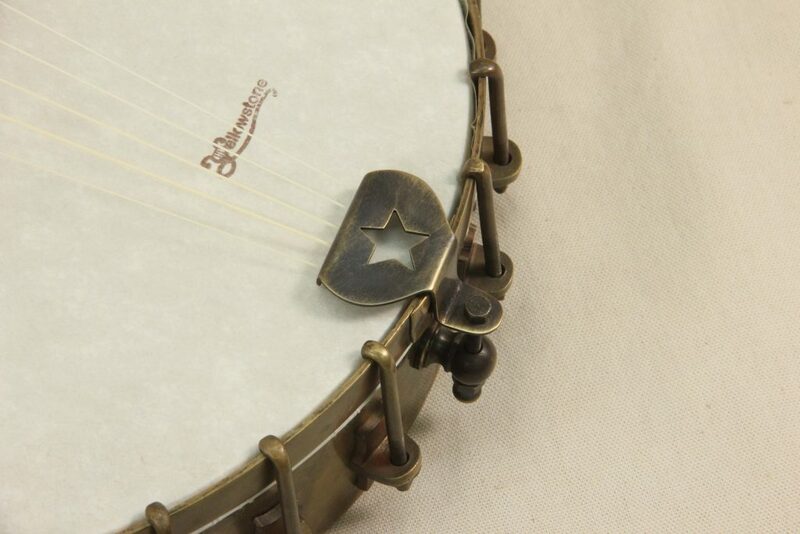 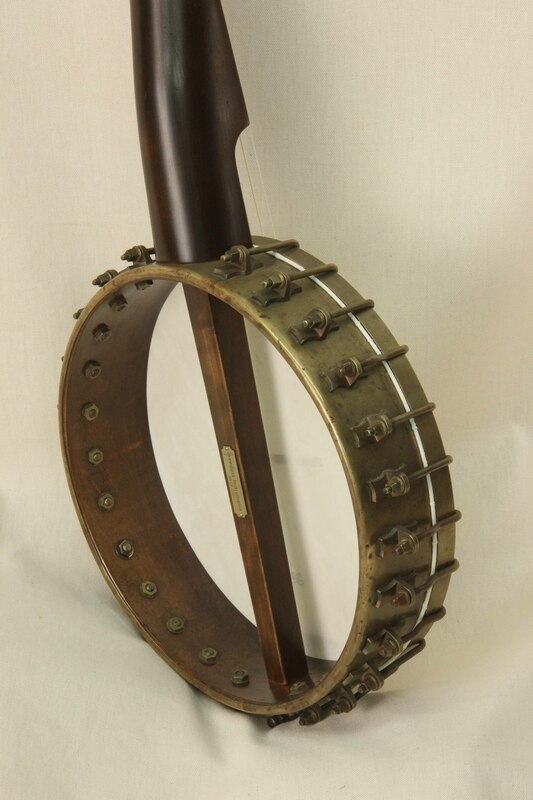 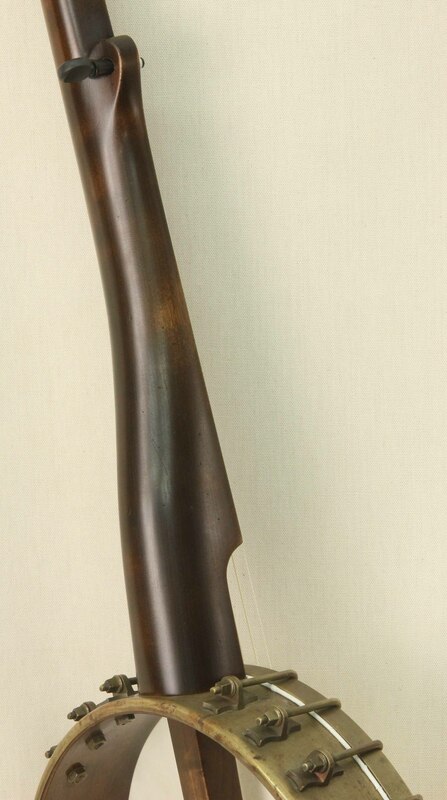 This unique neck was built for a great old brass clad rim with very cool original hardware. 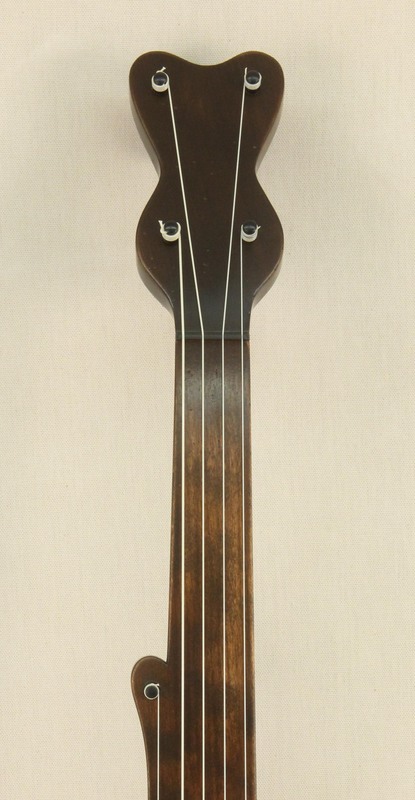 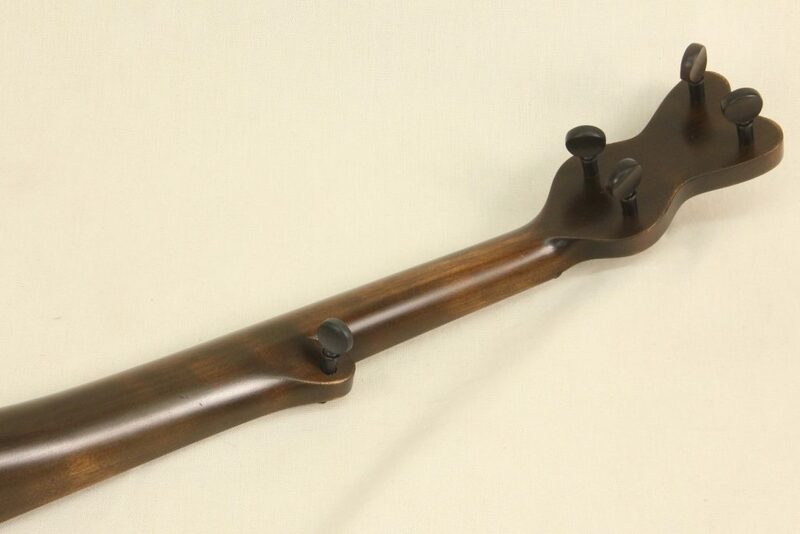 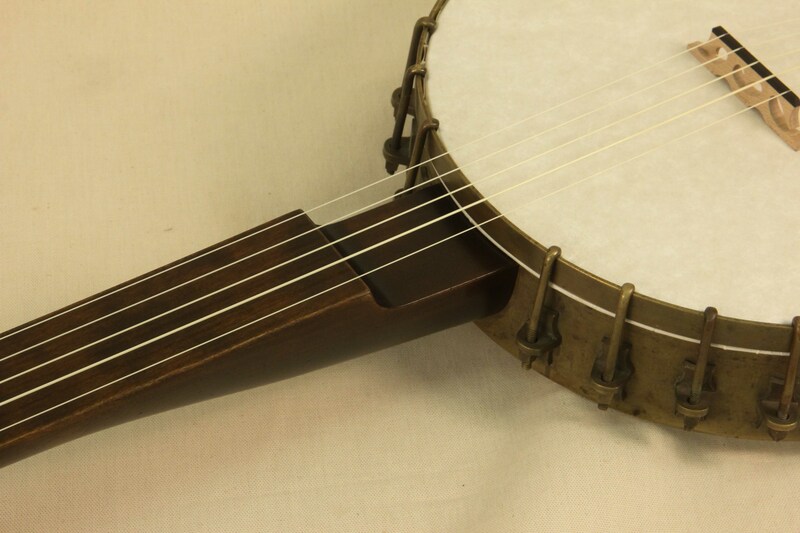 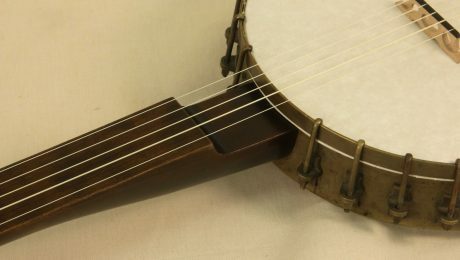 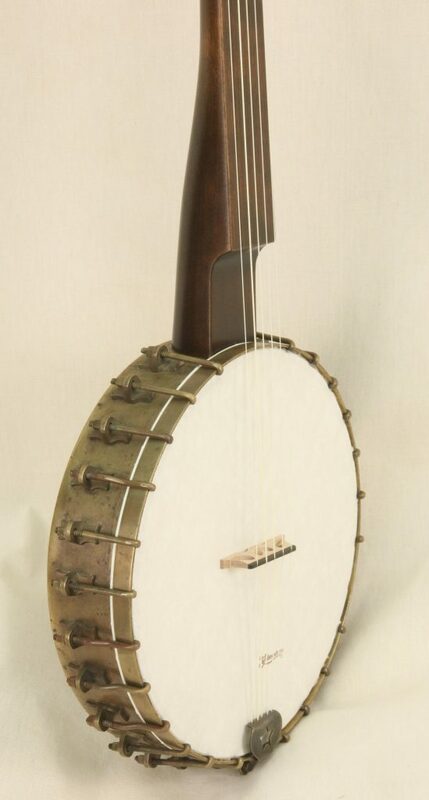 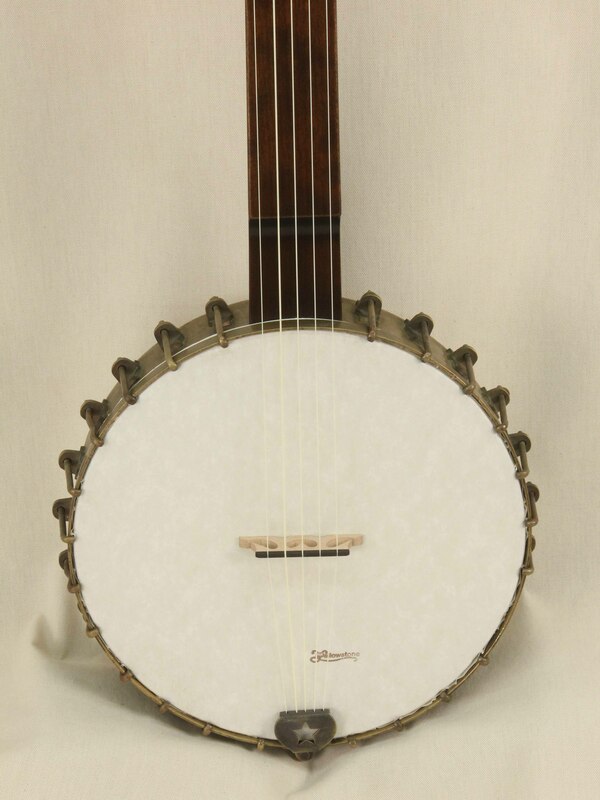 The neck design was influenced by an old minstrel banjo that the client had stumbled on. The fretless neck is a one piece Cherry neck with a distressed dark finish. 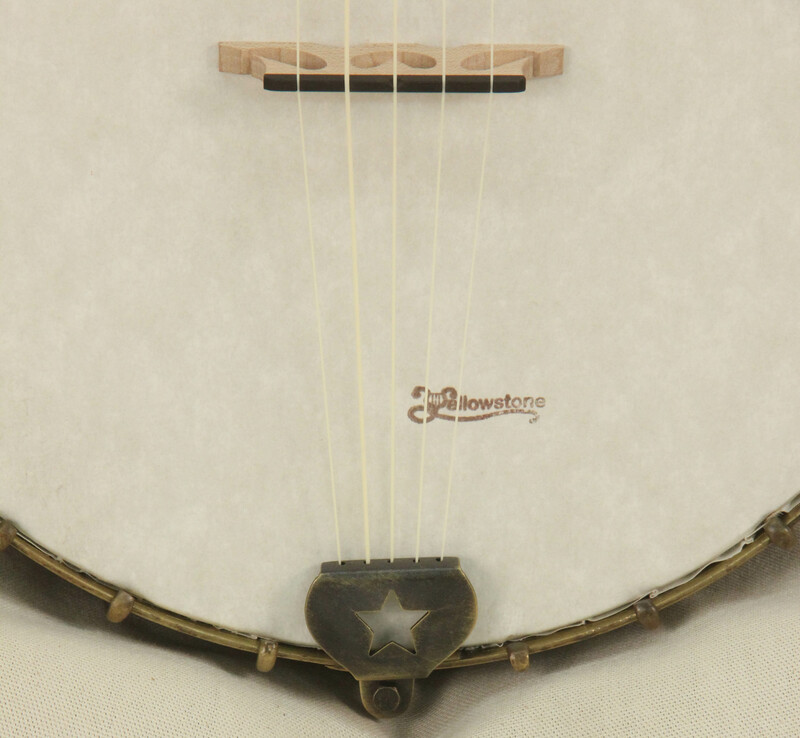 The head material is a unique material from Yellowstone that is stretched similar to a skin head but is a paper product. 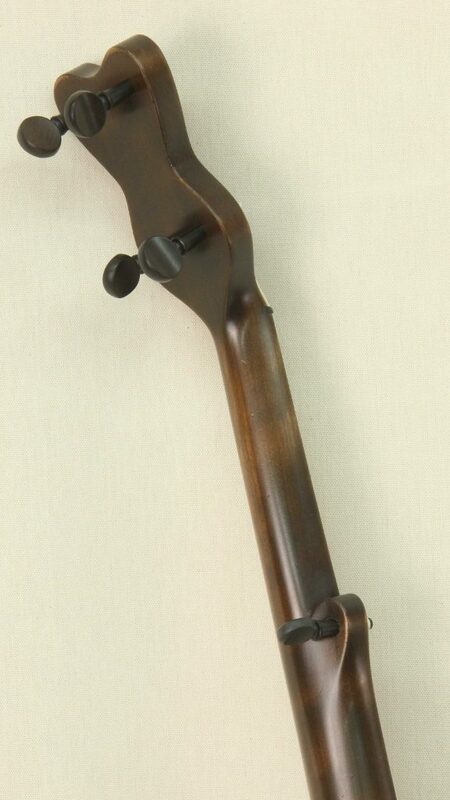 The unique head material and nylon strings made for a wonderful deep and rich tone.